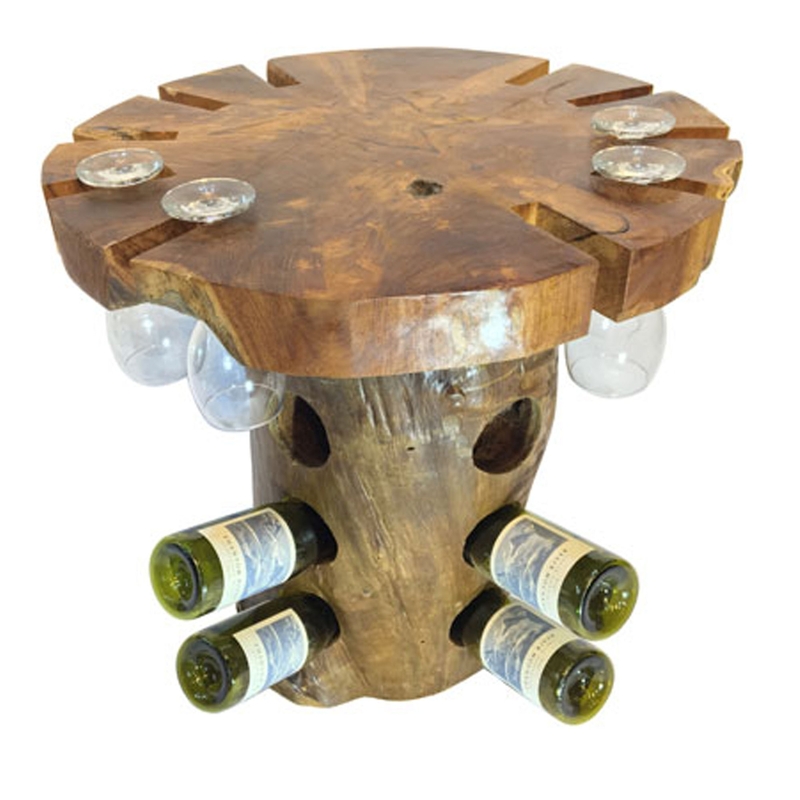 Add a contemporary style to your home by introducing this beautiful Teak Root Wine Tasting Table Grand Side Table. This piece has a wonderful design that is created from teak root. The base and surface of this piece have been given slots and holes that are perfect for fitting wine bottles and wine glasses in.